The Gypsy Gentleman – Episode 07: Japan Pt. I from Marcus Kuhn on Vimeo. I keep missing these when they hit. I should be better about this kinda thing. There’s not much I can say about this episode other than: Watch it. The legendary Horiyoshi III and Shige get the deluxe treatment from Marcus and crew. Possibly my favorite episode to date; not only giving us insight into these living legends but about the intricacies of Japanese culture as well. Such amazing footage. The Gypsy Gentleman – Episode 06: Paris from Marcus Kuhn on Vimeo. The Gypsy Gentleman – Episode 04: San Diego y Tijuana from Marcus Kuhn on Vimeo. Another Gypsy Gentleman episode from Marcus Kuhn. The episode was filmed in San Diego and Tijuana featuring Bill Canales and Rob Benavides and covers the Latino/Chicano contribution to the Tattoo Community. OV is still only eleven months old, but I’ve had a heck of a time so far. 2011 was a very full year for tattoo culture including Vice’s TATTOO AGE and Marcus Kuhn’s Gypsy Gentleman. Both were a welcome retreat from the glut of tattoo related programming (the various Inked series, Tattoo School, etc) that many folks feel exploit tattooing in the name of ratings. They let us have a glimpse into the lives and careers of Thomas Hooper, Fred Corbin, Grime, Dan Santoro, Virginia Elwood and other really next level tattooers with no drama, screaming or “If we can make it here… we can make it anywhere” rambling. While Tattoo Age has finished it’s first season, Marcus still has more Gypsy Gentleman coming. 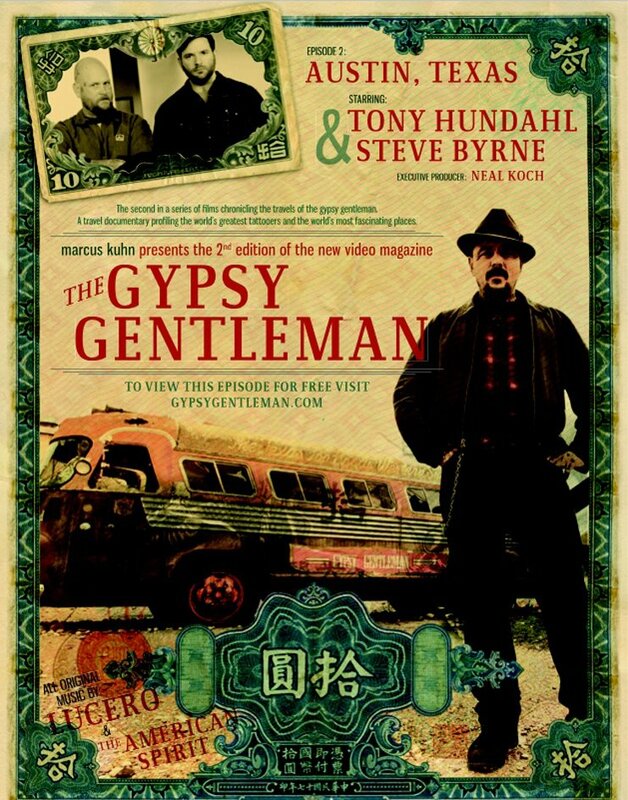 Episode 2, Austing Texas, features Tony Hundahl and Steve Byrne with music by Lucero and should be airing over at Gypsygentlman.com any day now is currently live on Gypsygentlman.com. The Gypsy Gentleman – Episode 01: New York City from Marcus Kuhn on Vimeo. The first episode of Marcus Kuhn’s GYPSY GENTLEMAN has premiered; focusing on NYC and featuring Kuhn, Virginia Elwood and Thomas Hooper this 30 minute episode comes fresh on the heels of Vice’s Tattoo Age (and features a brief visit to Dan Santoro’s coffee/antique shop) and is another example of the possibilities of tattoo documentation. Kuhn gives us a walkthrough of NYC’s Bowery area and brings Elwood and Hooper to a Tibetan/Himalayan art museum; work on drawings and finally tattoo them on a few lucky tattoo collectors. I recommend taking a half an hour out of your evening tonight, relaxing and devoting yourself to watching GGep1. I assure you that you won’t be disappointed! It’s almost a constant with any tattoo blog; throwing Miami or LA Inked under the bus. I’ve been guilty of it myself. Seeing tattooing transition from “our thing” to pop culture hasn’t been easy. We all begrudgingly admit that while we hate it’s ubiquitousness, we’re glad that it was Ed Hardy who made a fortune off of tattoo related product over-saturation. We even wax philosophically on the future of tattoo culture and how low it will sink before it’s “ours” again. Luckily for us, Brooklyn based tattooer Marcus Kuhn has a new project in the works that promises to be the antidote for those who feel that we’ve been left high and dry by the current glut of tattoo media. With the first episode featuring Kuhn, Virginia Elwood and Thomas Hooper, it’s hard to go wrong. I’ll be looking forward to what Marcus is going to do with this. 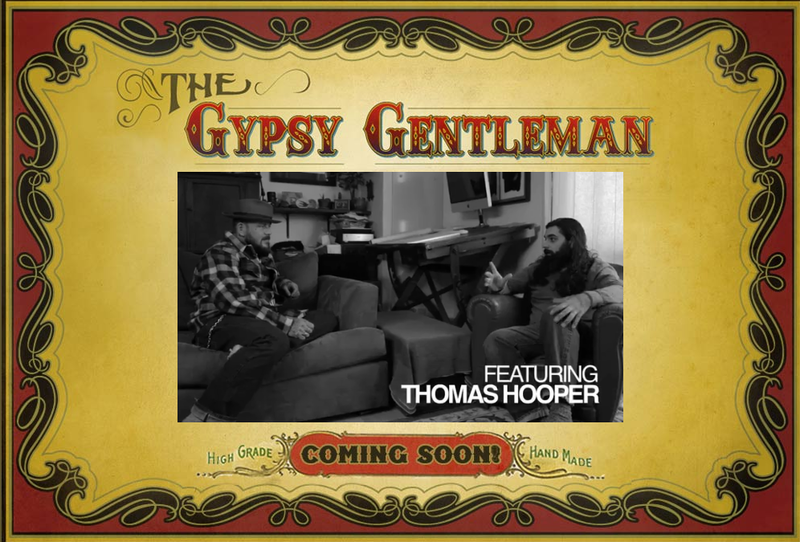 Gypsy Gentleman -Episode 1- Teaser from Kinetic Science on Vimeo. Marcus Kuhn’s The Gypsy Gentleman.